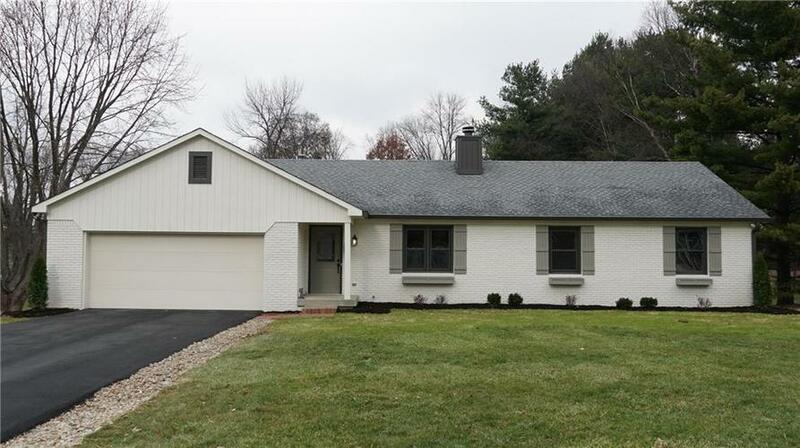 Completely updated 4 bdrm 3 bath ranch style home with walkout basement. Open floorplan with raised ceiling great for entertaining. Huge rear yard with mature trees offers privacy. Large deck and covered patio perfect spots for relaxing. Move right in and enjoy new flooring, cabinets, granite tops, appliances, tile shower, fixtures, trim, doors, paint, water heater, windows/exterior doors, ect. Also has updated roof and furnace. Directions:Stones Crossing West of Morgantown Rd to Horizon Blvd. North to Tony Drive. Right to home on the left.